Early organisms adapted a specified communication cell that would bind to the membrane of a cell or organism and send signals if the membrane experienced any movement or pressure. The communicator cell is physically lodged in the membrane so even pressure that occurs between neurons is still detected and a signal is sent. Organisms that grew structures outward from the membrane, like hair or antennae, would be able to pick up a greater amount of movement because now they could sense the movement of those protruding structures as well. Those individuals who could detect movement very close to them were much better adapted to their environment, allowing them to sense and react to nearby stimulus. Over time, the communicator cells specialized to detect specific stimuli. If the stimulus is just a bit of movement in the membrane, maybe something landed on or brushed against the organism, then we call the signal touch. If the stimulus is a change in thermal energy within the communicator cell, we call the signal hot or cold depending on the change. If the stimulus is damage to the cells, meaning cells are dying, the signal sent to the brain is called pain. Each of these types of communicator cells adapted randomly and was maintained through generations because of the advantage they gave to the organism. We’ll look at each of these neuron types separately to illustrate their advantage starting with the basic touch. If an object touches the membrane of an organism, it will naturally cause a pull on the rest of the membrane since it is all connected. The stretching from surrounding membrane cells will trigger the touch neurons. Touch sensors are embedded within the membrane with space between them. The signals from multiple sensors will allow your brain to put the multiple signals together to find the exact spot of the object touching you, much like GPS triangulation. 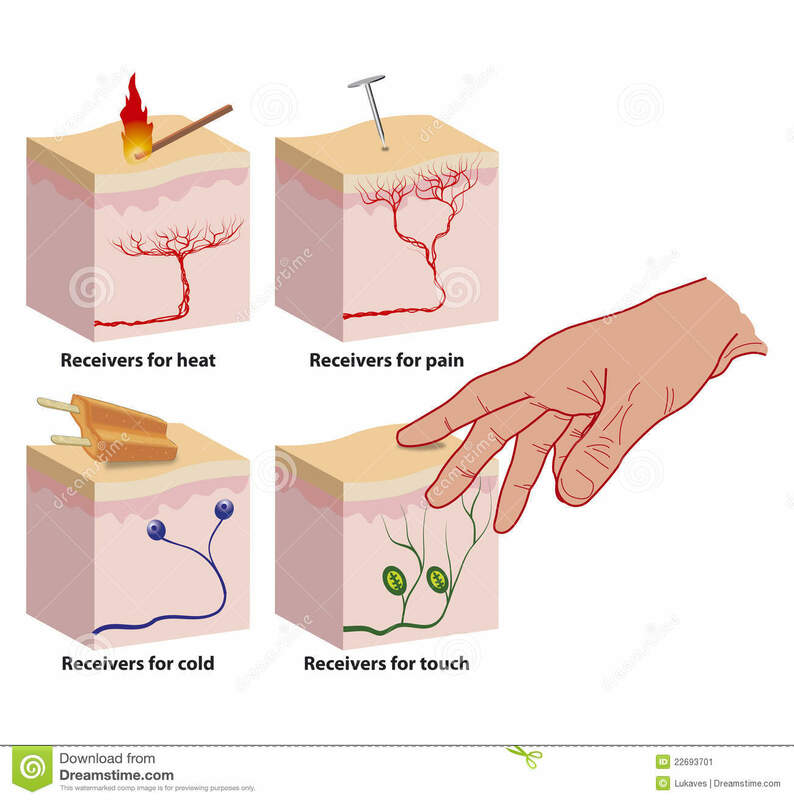 Your body doesn’t have touch cells everywhere, obviously that would require a lot of resources. The back of your elbow is one part of you that lacks sensors. Take some time to explore your body to find more blank areas. Use a partner so you don’t know when you’re being touched. Hot and cold are signals that are sent by distinct communicator cells when the surrounding energy changes in one direction. If the energy decreases, the cold sensor signals; if the energy increases, the hot sensor signals. You actually have more cold sensors than hot, especially in your ears and nose since they have a lot of surface area to lose heat. This is because it is more dangerous for an organism to be too cold than too hot. 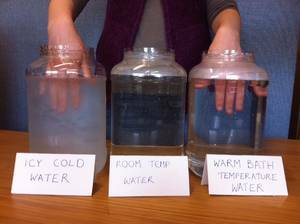 Sending more cold signals encourages the organism to find a source of heat. Pain is the organism’s method of communicating that something is wrong; usually that means cells are dying. The first response to pain is usually a reflex to stop doing whatever action is causing the pain. It’s why you jump up immediately when you step on something sharp. Pain can also be triggered if another neuron is pushed too far out of its range. A stimulus that is too hot, cold, bright, or loud might hurt because the neuron itself is dying. Pain sends signals to bring internal aid to a damaged area. When an invader enters the body, pain signals for blood to bring defense cells to kill the invaders. This is the main reason that cuts and pimples hurt. Pain sensors are so important that the brain sometimes needs to test them out to make sure they work. Cell death without pain is a very bad thing. Your body’s method of testing out pain sensors is to send small signals to them, you feel those signals as an itch. 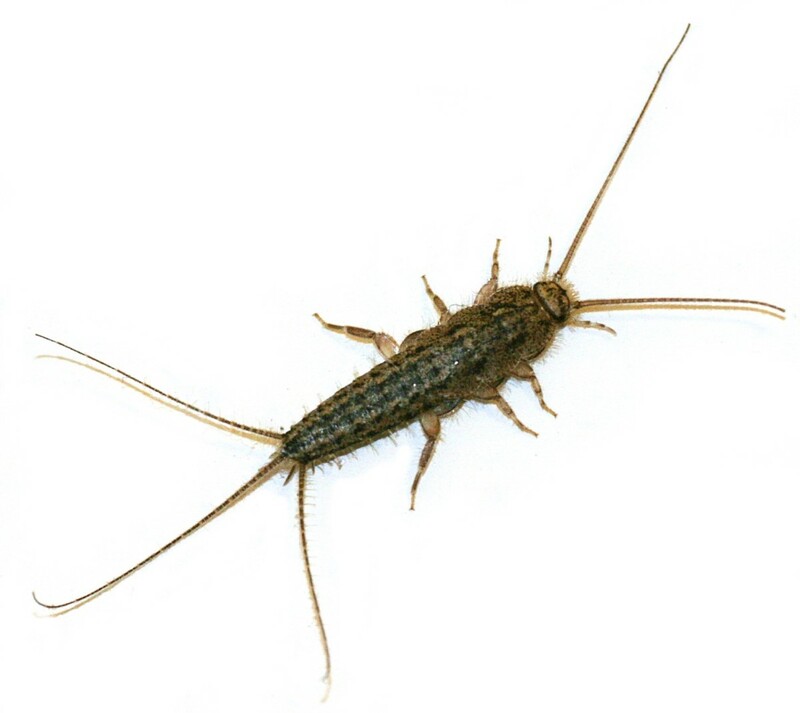 Your first reaction is to scratch an itch because we usually expect the small pain to be associated with some small creature jumping onto us. It’s also why scratching an itch usually makes it itch more, your nails are just causing more pain to signal. Small pain signals are also sent when there is a rush of blood to an area of your body. You’ve probably felt that prickly sensation when you stand up after your foot falls asleep. Your body is a machine, an astonishingly well adapted machine. Seeing your senses in this new light will hopefully give you a greater appreciation for the things that your body does without you even being aware. You are awesome, never forget that.